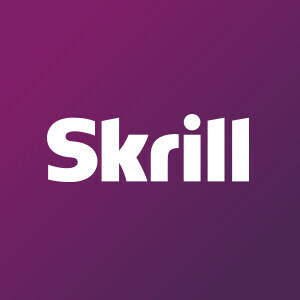 Formerly known as Moneybookers, Skrill is a UK-based e-wallet service that’s been serving customers for over a decade. Skrill made its name thanks to its ability to making online banking easy. Fast transactions between businesses and individuals, minimal fees and ease of use are Skrill’s top remarks. Because of that, this payment method has become quite a hit among online gamers. They are partnered with most, if not all, of UK’s greatest bookmakers. You can make instant deposits, enjoy the industry’s fastest withdrawals and even benefit from the Skrill MasterCard that can be used both offline and online. Bet365 hosts more than 19,000,000 customers across more than 200 countries. To make sure everyone has an easy time with taking money in and out of their accounts, they employ a vast selection of payment methods. Naturally, Skrill is one of them, as the one of the most efficient e-walllets in the industry. We’ve extracted the most important information regarding this payment method. William Hill is a synonym for sports betting across the UK and wider. They host the widest variety of sports betting and beyond, coupled with diverse betting markets and great odds. Skrill keeps it very minimal when it comes to fees. In fact, you’ll find that using most payment methods in conjunction with your account is completely free. Receiving money to your account is always free (bookmaker withdrawals), whereas sending money to other Skrill accounts has a 1% fee which is capped at £10. Skrill boasts one of the industry’s fastest transaction times. Uploading funds to your account via convenient methods is always instant. Withdrawing from your account is instant at ATM using the Skrill Prepaid MasterCard, whereas bank wire and VISA transfers can take up to 7 business days. If you are withdrawing from a bookmaker to your Skrill account, the money will usually appear within 24 hours. Skrill do their utmost to make sure their customers are always protected. Things like personal information and card details are kept out of harm’s way in accord with the highest PCI-DSS standards. Moreover, the company was the first e-wallet service in the UK to be authorized by the FCA (Financial Conduct Authority). You can also add two-factor authentication to make sure your account has an additional layer of protection. For things like staying safe online, Skrill’s website has an abundance of helpful advice. The first step to becoming a Skrill member is creating your account. Once it’s been created, you can upload funds using your bank account. If you wish to upload funds through a debit or credit card, you will have to verify your account. Verifying is done through a minor sub-charge on your card that will be later refunded, and the whole process takes no more than one or two business days. By verifying your account, you will also enjoy much higher transaction limits. There are several ways through which you can deposit at a bookmaker through Skrill. When you’re at the deposit screen at a sportsbook, select Skrill as your deposit method. Then, you can either select a credit/debit card that’s already linked to your account, or enter your card info on the spot. If you already have funds in your Skrill wallet, you can use your wallet to make a direct deposit. 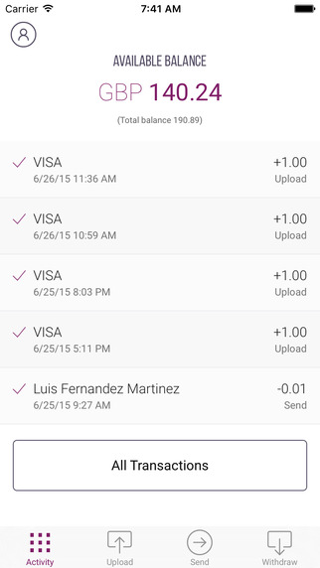 For even faster transactions, you can enter your card info and enable Skrill 1-Tap. After you’ve done that, your next deposit will take a single click, without the need of re-entering login and card info. All it takes to withdraw funds to your Skrill is click on the designated withdrawal button at your sportsbook, then entering your Skrill e-mail address. You can expect your withdrawal in about a business day, depending on the bookie in question. Skrill is partnered with the best of the best in the online casino industry. Besides fast deposits and withdrawals, you can enjoy shared funds between sports betting and casino play at all of our recommended UK brands. 10Bet is an instant play online casino with an accessible layout and a comprehensive set of the industry’s finest games. You’ll find that their gaming library is powered by top providers such as Net Entertainment, Microgaming, Playtech, Betsoft, Play N’ Go, Evolution, and more. At 10Bet, you can also enjoy a generous welcome bonus, frequent promotions, and excellent mobile optimization. Naturally, they accept Skrill payments with a minimum deposit of £5 and no fees. BetVictor’s latest redesign brought forth a simplistic, easy to navigate interface. The casino works great across desktop and mobiles. It hosts a wide array of games ranging from slots and progressive jackpots to poker and table games. Players can enjoy fast payments through Skrill, customer support through live chat and a no deposit bonus.